The panama hat is one of the most functional styles of hats that you can find on the market. You can wear this hat to the beach, pool or the park. You can also choose this versatile hat when you go camping and camping. And some of the hats are well made for various activities such as gardening and yard work. Not to mention that the panama hats can bring an instant elegant and beautiful look to your style. 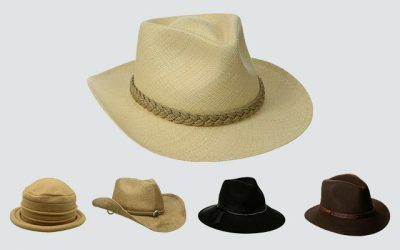 In case you are on the hunt for a panama hat, there are several things that you need to consider including the material, the design, and the right size of the hat. 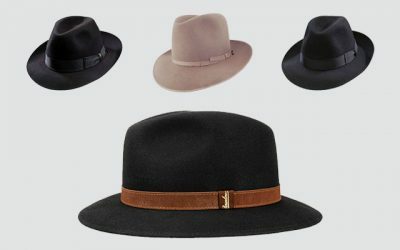 You can also check out our ultimate guide on choosing the best hats here. You might be overwhelmed with thousands of choices that you can have on the market. Let’s us help you by picking some of the best panama hats for women which are stylish and of high quality for your consideration. 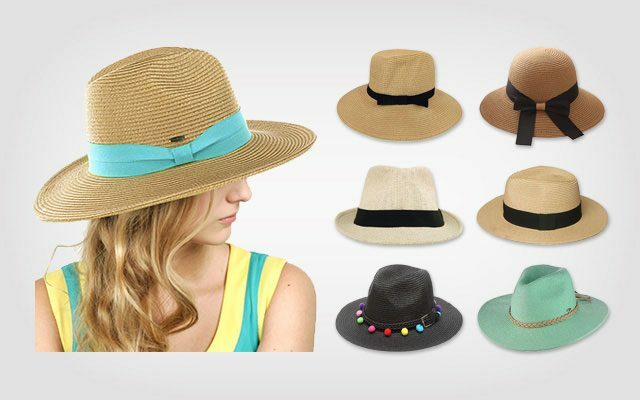 Its Main Features: This panama hat for women is made from 100 % of paper straw. It features the modified panama fedora hat design with a tear drop crown and a short structured brim. The hat band is black but the body of the hat is available in various choices of colors such as brown, black, grey, and pink. There are 2 sizes for you to choose from including Small/Medium and Large/Extra-large. With the high quality paper straw, this hat is lightweight and breathable. The fabric is woven loosely enough to make sure air can flow freely around to keep your head cool and dry all of the time. Furthermore, this hat features a light lining inside, which adds extra comfort to your head. It also helps to prevent the forehead from rubbing against the body of the hat to create any irritation. The hatband is glued nicely on the hat and it is removable in case you want to change the look of the hat. The brim of this hat is not as wide as other brims of the panama hats that you can find on the market. Still, it is enough to cover a large area of your face and prevent glare from getting into the eyes. The brim is curved and structured so that it will not become flimsy and block your view when it is windy outside. The construction of the hat is also quite stiff and sturdy. Therefore, the brim isn’t shapeable to whatever styles that you like. The good thing is that the hat will stay in its original shape regardless of how many times you wear the hat or how well you take care of it. 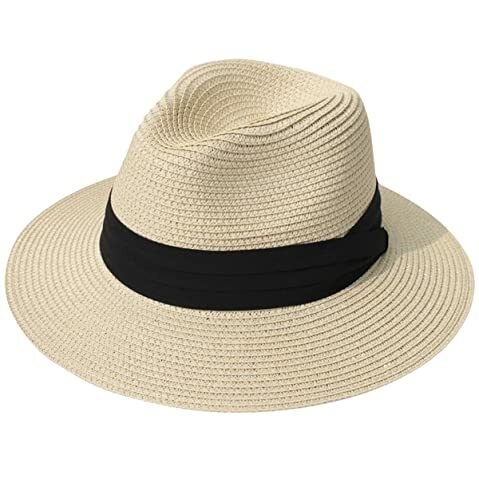 Its Main Features: This panama hat is made of 80 % of paper straw and 20 % of polyester. It features the classic panama hat style with a round crown and a flat brim. 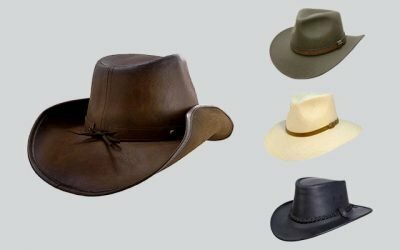 There are 6 options of colors for the hat and the hat bands for you to choose from such as white hat with a blue hat band or dark natural hat with a mint hat band. The width of the brim is 3 inches while the height of the crown is 4.25 inches. The ribbon hatband is 1.5 inches in width. It is available in 1 size that can fit head’s circumferences of up to 23 inches. The brim of the hat is wide enough to offer a large area for your face as well as your ears and your neck. Moreover, the fabric of the hat is rated UPF 50 + so that it offers the maximum UVA/UVB protection. The brim of this hat is reinforced so that it will not become flimsy and block your view when it is windy outside. However, it stays flat and you would not be able to reshape the brim to the style that you like. While this hat is available in 1 size, it comes with an internal drawstring which can have you to have a more customized fit with this hat. In case you are looking for a hat with the same quality as scala panama hat but with a cheaper price, this panama hat is your ideal choice. Not to mention that it is so functional that you can wear it to a wide range of occasions, pairing with most of your clothes in your wardrobe. 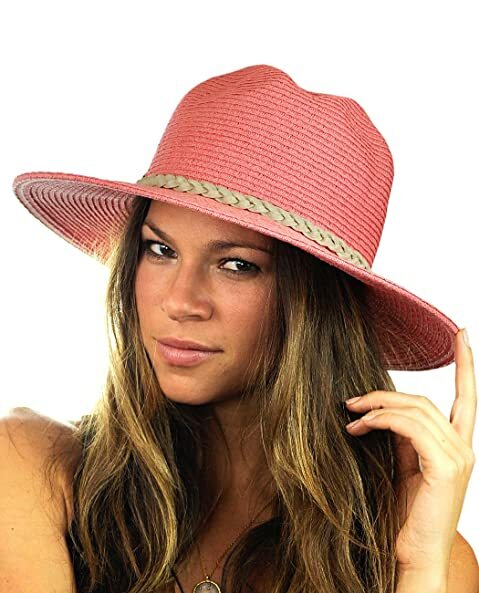 Its Main Features: This hat is made of 100 % of natural straw. It has a teardrop shaped crown and a asymmetric brim. The front of the brim is wider than the back of the brim. This hat is available in various choices of colors such as beige, navy, and white with different choices of hat band for you to choose from. There are 2 sizes for your consideration including Small/medium and Large/extra large that can fit head’s circumferences from 22 to 24 inches. The height of the crown is 4 inches while the width of the brim is 2.5 inches on the front and 1.8 inches on the back. 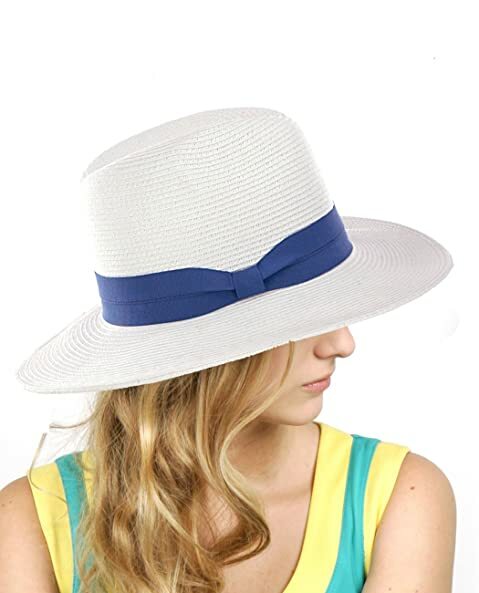 This ladies panama hat is made of the premium quality which is soft and lightweight. 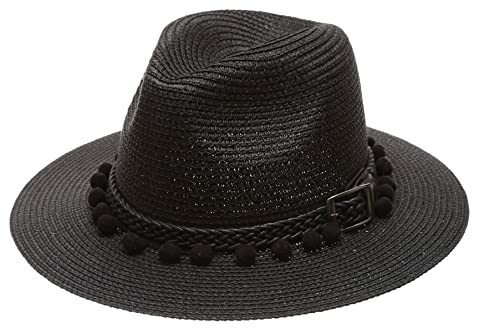 The hat is nicely coated so that it is slightly water resistant and more durable than some other natural straw panama hats that you can find on the market. The hat is woven loosely enough for the maximum breathability. Moreover, the hat features a thin mesh lining with assist the ventilation of the air. Moreover, it is also sweat absorbent so that your head is kept cool and dry all of the times, even in the hottest days. The front of the brim is wide enough to cover your face. It also helps to shield the sunlight from the eyes. However, the back of the brim is quite narrow so it would not offer much help for the protection of your neck. The overall construction of the brim is slightly curved up and it retains its shape regardless of how hard you try to reshape it. The woven straw band décor is made nicely and beautifully to add extra elegancy and style to the hat. 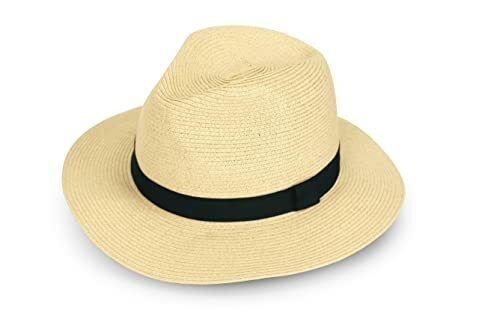 Its Main Features: This Panama hat is made of 100 % of paper straw. There are several options of colors for you to choose from including white, black, khaki, and pink. It is available in 1 size which can fit head’s circumferences from 22 to 22.5 inches. This girls panama hat is made of 100 % of high quality woven straw which makes the hat lightweight and well ventilated. The straw is woven tightly enough to effectively block the harmful elements of the direct sunlight. It is rated 30 + UPF for its sun protection ability. The fabric of this hat is soft enough for the hat to be folded and packed into a small bag for easy storage and carrying around. The hat is well made with an exquisite workmanship and neat stitching. There is no loose thread and the construction is firm and sturdy. After you fold the hat and then take it out, it will spring back to its original form with little or no wrinkles at all. The brim of this panama hat is 2.9 inches in width. It means that the brim is wide enough to cover a larger area of your face and your ears away from the harsh sun rays. However, it is not too wide that it can become floppy and block your view in case of a high wind. 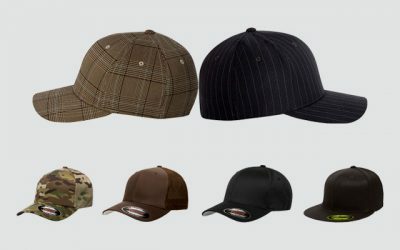 The brim is also reinforced so that you can easily fold the brim up or down in various elegant styles. This hat is available in 1 size with an adjustable tape built in sweatband for you to have a custom fit on your head. 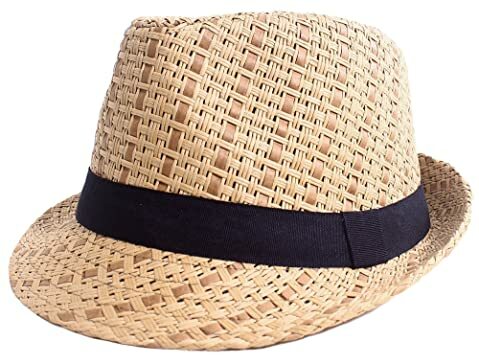 Its Main Features: This fedora sun hat is made of 100 % of natural straw. The height of the crown is 4.5 inches while the width of the brim is 3 inches. This is another high quality and stylish panama style hat from Lanzom. This hat is made of the premium quality material which is soft and lightweight. The hat is also breathable so that you can comfortably wear the hat in a warm day. Also, this hat comes with an internal hatband which is capable of wicking moisture away and keeping your head cool and dry. The hatband is also super elastic and stretchy so that the hat can easily fit on your head. The brim of this hat is wide enough to cover a large area of your face as well as your neck and your ears. 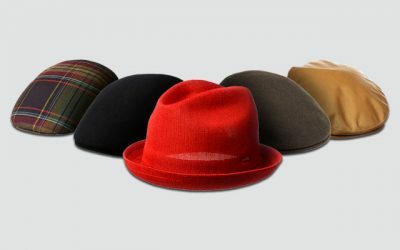 It is reinforced so that you can easily fold the hat up or down to create the style for the brim that you like. Not to mention that while the brim is soft, it is reinforced so that it will not become flimsy in case it is windy outside. Thanks to the top notch material, this hat can be folded and packed into a small bag. Furthermore, it is rated UPF 30 + for its ability to block the harmful UVAs and UVBs away from your face. Since this hat is made of natural straw, the fabric of the hat might be more sensitive than the fabric of the hat made from paper straw. Therefore, you need to take extra care of this hat to ensure it can last as long as possible. 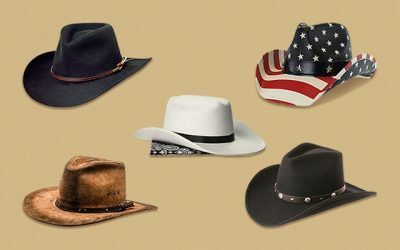 You can learn about how to clean a straw hat in this article here https://thebesthat.com/clean-straw-hat-easy-methods-follow/. Its Main Features: This panama hat is made of 90 % of paper and 10 % of polyester. This hat is available in 3 sizes including Small, Medium, and Large. There are 2 options of colors including cream and tan, both of which come with a black ribbon band. The height of the crown is 4.5 inches while the width of the brim is 2.75 inches. This hat features many features that make this hat a great hat to add to your wardrobe. First of all, this hat is a definitely a must buy sun hat. It is rated UPF 50 + so that your skin is protected against the harsh elements of the direct sun light. Furthermore, this hat is lightweight and breathable to wear in a hot summer day. Not to mention that it features an interior wicking sweatband. Last but not least, this hat is foldable and packable, making it easier and more convenient for you if you want to bring the hat along with you when you go traveling. After you take the hat out, it will spring back to its original shape. Creases and wrinkles might appear on the hat but you can easily flatten them by steaming the hat in low temperature settings. Overall, the hat is tightly woven and well made that it can retain its shape well and last for a long time, even with heavy duty use. There are 3 sizes for you to choose from in order to get a hat with the most comfortable fit. Still, each of the hat comes with an internal drawstring for you to adjust the hat to get your best and most comfortable fit. In case you wonder where to buy panama hats of high quality with a decent price like this one, check out the link below. You also have a great chance to look into reviews from other buyers to see for yourself if the hat is really for you. 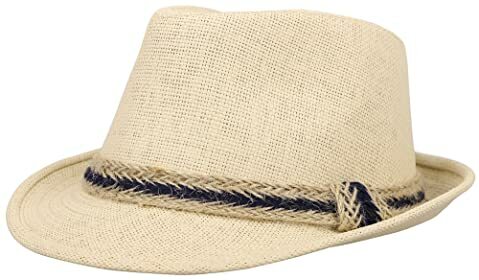 Its Main Features: This panama hat is made of 80 % of straw and 20 % of polyester. There are several options of colors for you to choose from including beige, navy, white, and tan. This hat is available in 1 size which can fit head’s circumferences from 22 to 23.5 inches. The height of the crown is 4.5 inches while the width of the brim is 2.8 inches. 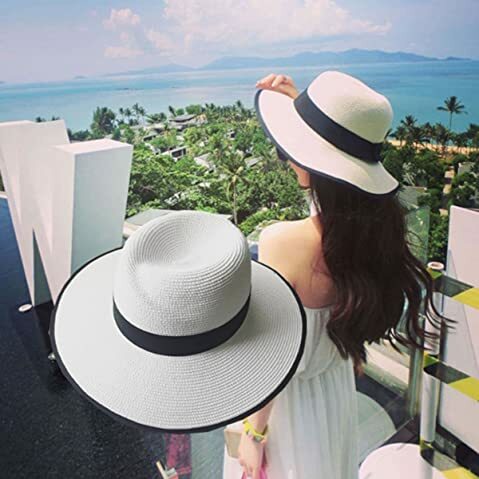 Like other high quality straw panama hats that you can find on the market, this hat is made of the premium quality for a soft and lightweight body. 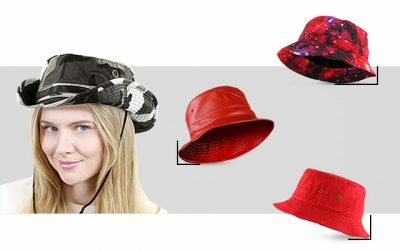 It is also soft enough that you can easily fold the hat and pack it along with you when you go travelling. It is also worth mentioning that this hat is well ventilated and comfortable to wear in a hot summer day. The brim of this hat is reinforced so that it will not become flimsy regardless of how windy it is outside. The hat is also woven loosely enough to let the air flow easily and keep your head cool and dry. It also features an internal headband which helps to wick moisture away and adds extra comfort to your head, especially when you have to wear it for a long time. In case you are looking for a white panama hat which doesn’t trap dirt quickly and can be cleaned easily, this one is worth considering. You can wash the hat with water and let it dry naturally. It will spring back to its original form after that. The hat is built with a firm and solid construction. Hence, you can easily fold the hat and pack into a small bag. When you take the hat out, it will spring back to its original form as well. Its Main Features: This panama hat is made of 100 % of wool felt material. There are 3 options of colors for you to choose from including black, red wine and beige. It features a removable belt with a metal buckle. It comes with a teardrop shaped crown and a flat brim. This hat is available in 1 size that can fit head’s circumferences from 22 to 23 inches. The height of the crown is 4.5 inches while the width of the brim is 3.15 inches. This wide brim panama hat is one of the best options for you if you need a hat with a lot of sun protection. First of all, the brim of this hat is 3.5 inches in width, which is more than enough to cover your face, your ears as well as your neck. This brim is wider than the brims of most of the panama hats on the list. The brim is quite stiff so that it will not become floppy and block your view when it is windy. Moreover, the wool felt material is thick and rated UPF 50 + for its ability to block the harmful elements of the sun rays and protect your skin, especially when you have to go out for a long time. The fabric is thick but it is also breathable and lightweight for your best comfort. Therefore, you can wear the hat not only in the winter, you can also wear it in the spring and autumn as well. Some panama hats are more suitable for informal occasions such as travelling or partying. However, with a more formal look and material, this hat can be worn to some formal and semi formal events. With its solid color and design, you can easily pair it with other pieces of clothes in your wardrobe. 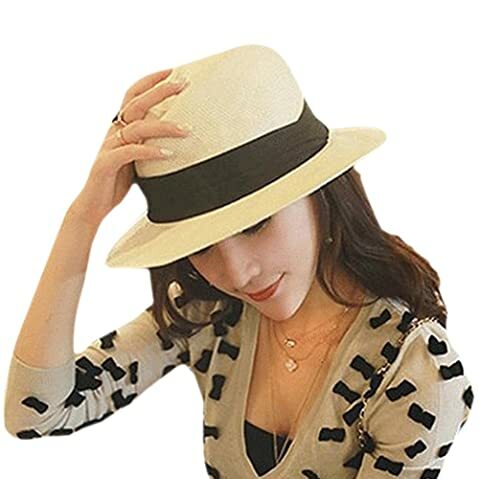 Its Main Features: This panama hat for women is made of 20 % of paper and 80 % of polyester. It features the classic style of a panama hat with a wide flat brim and a round crown. There are 2 options of colors for you to choose from including coral and white. This hat is available in 1 size that can fit most of adults’ heads. The width of the brim is 3.25 inches while the height of the crown is 4.5 inches. First of all, this hat is made of the premium quality to make it a very functional and versatile hat. The fabric is rated UPF 50 +, which means that it can offer the maximum sun protection for your skin when it is exposed to the sun. Moreover, the brim is wide enough to provide a lot of coverage for your face as well as your ears. Your neck is also covered, too. Besides the high quality breathable material, this hat features an internal sweatband to wick moisture away and keep your head cool and dry all of the time. While this hat is available in 1 size, it features an internal drawstring which helps you to have a customized fit. The drawstring is quite stretchy for you to easily adjust the hat as well. Another thing we love about this hat is that all of the details on the hat are nicely made, even the additional braided hatband. The hatband is carefully braided for a firm construction. Not to mention that it adds an unique accent to the look of this panama hat, making it outstanding and different from other panama hats on the market. 10.MIRMARU Women’s Summer Panama Style Mid Brim Beach Sun Straw Hat With Pom Pom Belt Band. 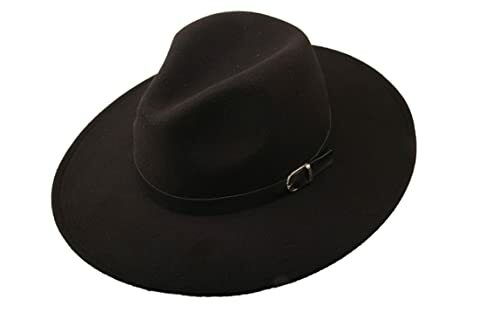 Its Main Features: If you are on the search for a black panama hat with a unique style, check out this hat. Besides the classic panama hat style, this hat features a hatband with small little pompoms as details. It is made of 100 % of paper straw. This hat is available in black and white with 1 size that fits most of the adults’ heads. The height of the crown is 5 inches while the width of the brim is 2 inches. This panama hat is made from the high quality material which makes the hat lightweight and breathable. The fabric of the hat is soft enough for you to easily fold it and pack it along with you when you go travelling as well. Another thing I love about the hat is that it is quite easy to take care of it. It doesn’t trap dirt easily and you only need to spot clean when it gets dirty. Moreover, this hat features an internal hatband which is capable of wicking moisture away. And the headband is super effective in preventing your forehead from rubbing against the body of the hat, making sure that it will not get irritated, especially when you have to wear the hat for a long time. This hat is made with an excellent craftsmanship for a firm and solid construction. The details including the pompoms and the buckle braided belt are carefully done for an expensive look and extra durability. 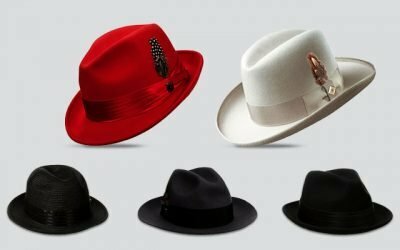 If you want to buy a hat with a simple color such as white or black but do not want a hat that is too plain or boring, you might consider this hat. The pompoms are unique and will surely make you look more elegant and stylish. There are thousands of panama hats on the market for you to choose from. Some of them are the traditional classic style while some of them are slightly modified to be trendy and stylish. Moreover, you also have to choose among several types of materials such as wool felt or straw as well. They are also varied in colors with different designs and touches of details. 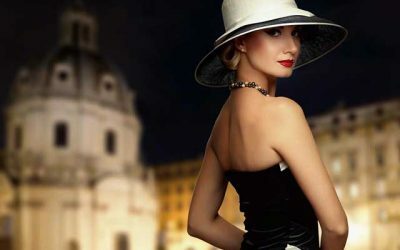 The decision of which panama hats to purchase depends on you- considering your styles and requirements in a hat. 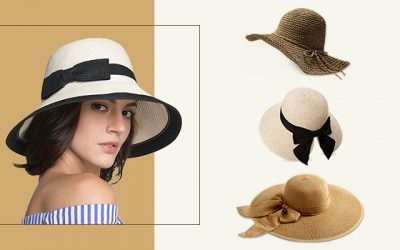 We hope that with the list of the best panama hats for women above, you can quickly find and purchase the most suitable one.